Looking good! Yay for moving up to the middle! "A little more progress" should read a lot og progress. Well done it is looking great. Nicole, your piece is so beautiful!! 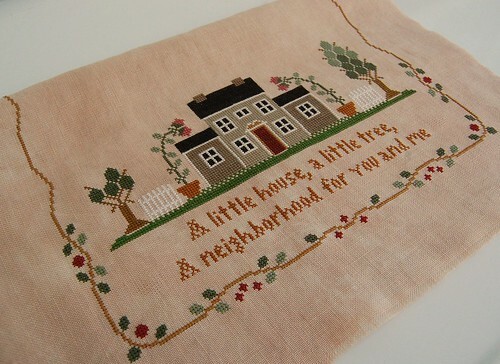 Whenever I see your piece, I have heavy sigh, because your stitching is so beautiful! I also can't wait to see your middle section, either!